Just down the steps from the Victoria Sapa Hotel, Fansipan View is a good midrange option if you want to stay away from the tourist hordes and hawkers around Cau May but can’t face the walk to Sapa Summit. Ad Book now! Rates from US$19.4++. Average rating 7.6 from 131 reviews. Despite the name, not all rooms have a mountain view, but they’re all priced the same. If you can’t get a view we’d go elsewhere for the price but that said, the hotel has a boutique feel to it, with stylish polished dark wood and simply decorated, comfortable rooms. Staff are welcoming and speak good English. 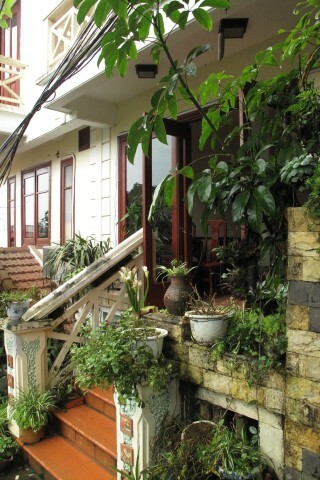 Their Sapa Cuisine restaurant next door is charming but has a similar menu to the other places in town. A free pick-up is offered from the train station and breakfast is included.